They say laughter is the best medicine, and we're in for a hefty dose: Comedy clubs and improv venues are more popular than ever. 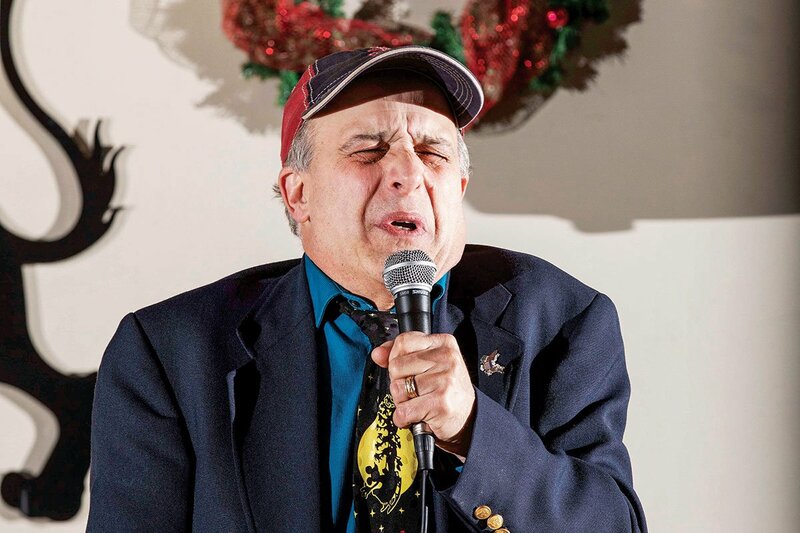 Local comedy veteran Steve DeNuccio, a regular at Pub on Park, performs his act. Photography by Alex Gagne. Sit at a high-top table at Pub on Park in Cranston, a combination bowling alley/bar/performance space with a black ceiling and minimal light. Its large front windows boast green neon palm trees flickering for faux atmosphere. On the wall above a small stage are giant “Pub on Park” letters facing a hanging witch this October night, small white lights draped over all. It’s the regular Monday open-mic night where comics have six minutes to make the crowd laugh. “Crowd” might be overstatement; there are fifteen people, all comics, newbies and veterans, waiting to make people laugh — or wish they were somewhere else. I’m one of the newbies, doing hands-on journalism for a story on comedy in Rhode Island, figuring if they laugh or go crickets, I’ve got something to write about. Hey, I’ve done stories on doctors before but they wouldn’t let me try brain surgery. This is safer. They say comedy can be ugly and, honestly, some of what you see at open mics is just that: people groping for jokes they’d forgotten or delivering lines that may be funny to them but no one else. Steve DeNuccio, a comedy veteran, sits at the bar nursing the only drink he’ll have for the night. He’s sketching Disney characters, because besides comedy that’s what he does for a living along with owning a dental lab; painting pet portraits; playing piano on cruise ships and at the Biltmore Hotel and the Venus de Milo; and performing with a jazz band. “The comedy scene is up and down,” DeNuccio says, coloring a Little Mermaid, a box of markers next to his drink. He remembers the olden golden days of Rhode Island comedy at the defunct Periwinkles, Catch a Rising Star and Stitches. “Now it’s pretty decent,” he says. I amble onto the stage at Pub on Park, grab the mic and launch into uncharted waters. And people laugh. Not just my friend Dennis, a fellow actor who came to support me. And not just John Perrotta, Rhode Island comic legend and creator of Comedy Factory R.I., who books acts all over the place, runs this event and is a retired corrections officer who apparently appreciates a good razor wire joke. I mean the room laughs, inasmuch as you can call fifteen people a room. And that’s the juice, the energy, the thing that keeps comics coming back for more if they bomb or if they kill. Laughs to a comic are as addictive as booze or drugs or gambling; it’s certainly not the money, which ranges from zero for open mic nights to $150 a gig, more if you’re a headliner. In Rhode Island, there are many places to cash in on the humor riches as comedy grows more popular again, thriving in forums from open mic nights to improv places to the long-running Comedy Connection, the state’s last comedy club left standing. Like sketch comedy? 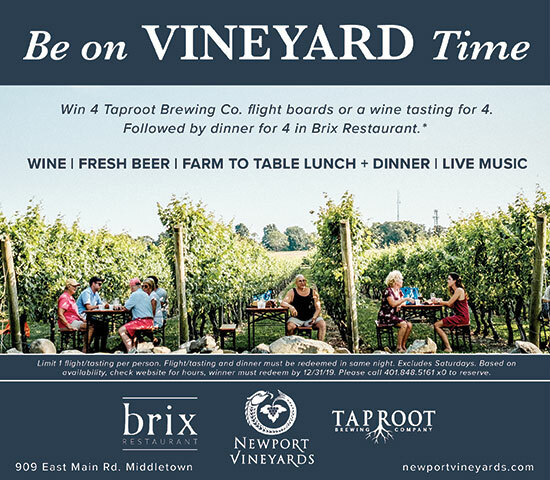 Try Empire Revue at AS220, a group most famous for its hit “Benny’s: The Musical.” And there are comedy nights at Newport Vineyards and stand-alone stand-up events at Asian restaurants, neighborhood bars, Knights of Columbus halls and VFW lounges. “Basically, you get on stage, in the spotlight, the mic is on and you tell jokes. It’s one of the easiest productions in entertainment to do,” says Doug Key, a thirty-one-year-old comic from Newport and founder/director of the annual Rogue Island Comedy Festival. Improvisational comedy goes back a long way — think Second City in Chicago, which spawned the careers of comics like John Belushi, Gilda Radner, Stephen Colbert, Tina Fey, Bill Murray and many more. In Rhode Island, improv is found at places like Wage House in the Lorraine Mills building on Pawtucket’s Mineral Spring Avenue, a narrow space that, come Friday night, showcases people armed with nothing more than their imagination and ability to think funny fast. “You do stand-up, you’re alone. You do improv, and it’s a team, and it only works when two people have complete trust in each other,” says Tim Thibodeau, who produces the popular Providence Improv Fest every fall. Wage House cofounder Casey Calderiso performs on stage. Photography by Alex Gagne. Casey Calderiso and Kate Teichman are friends and improv artists who became business partners about two years ago to create Wage House, where they also teach. Both women’s husbands also do comedy; Calderiso calls hers “my free labor,” as he works the ticket counter among other tasks. “Comedy is absolutely ramping up in Rhode Island. When I moved back here after college there were a few places like Improv Jones and the Bit Players in Newport,” she says. Wage House student Tony Pacitti, a magazine writer, always wanted to do comedy but was afraid. Then he came here to do a story on the place. The Bit Players’ company has regular improvisers and musicians rotating to do shows Friday and Saturday nights. Improv is definitely on the rise, Fusaro says, as evidenced by events such as the annual five-day Ocean State Improv Festival at the Contemporary Theater in Wakefield. Bring Your Own Improv, run by Daniel Lee White out of the Warwick Center for the Arts, is a place to just watch or jump into the madness yourself. They do two shows on Friday nights, the early one family-friendly, the later one all adult. White loves both but the one without swearing tickles him to no end. 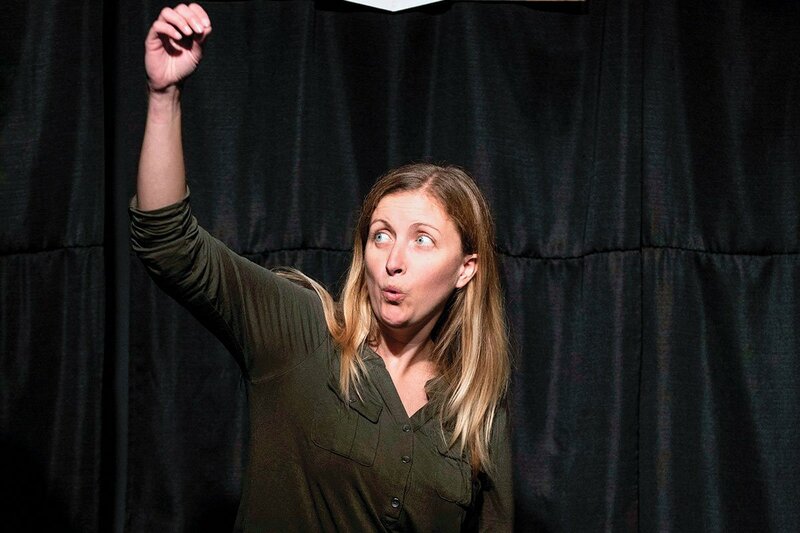 And learning improv is great for coming out of your shell, says Ayla Ahlquist of Jump! Dance Company in Wakefield, who has done a lot of stage managing for theater productions. She also had stage fright and took four levels of workshops at Wage House to get over it.